This beautiful spacious modern/boutique first-floor apartment nestled in Dalgety Bay 30 minutes from Edinburgh's city centre and on the Stunning Fife coastal route. Perfect get away from the city, yet easy enough to commute to Edinburgh or explore the many beautiful Fife villages. The apartment has been recently renovated, spacious with open plan kitchen/living area, 2 double bedrooms and private parking. First Floor flat - approx 16 stairs and 2 steps to enter building. Location excellent, owners excellent always on the end of a phone if you need them . We had a wonderful stay in beautiful and peaceful surroundings and will certainly return. 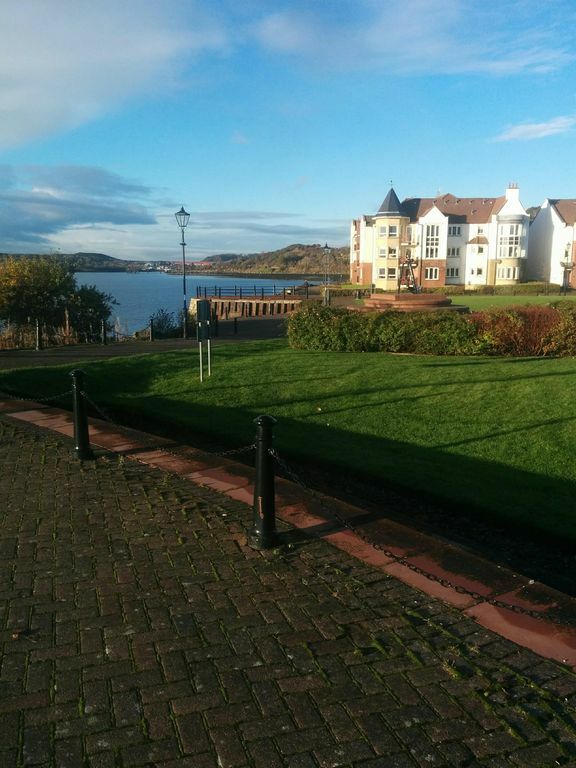 We really enjoyed the stay in Dalgety Bay and we want to thank Julie and Julian for giving us the opportunity to stay in their lovely apartment. We stayed for four nights and had two wonderful days in Edinburgh. We recommend to go by train to Edinburgh (only 30 minutes to Waverley and only 14 GBP for two adults and two children for the return off peak ticket). As the apartment is directly located at the sea, we also enjoyed the wonderful view and to go for a walk. Julie and Julian are very nice and helpful landlords and we can really recommend to stay in their apartment.